The plugin helps you to integrate social sharing buttons for the most popular networks and increase the social reach of your website! The plugin supports three different locations and button styles and includes icons for the most important social networks. The plugin has its focus on user friendly settings and fast configuration. 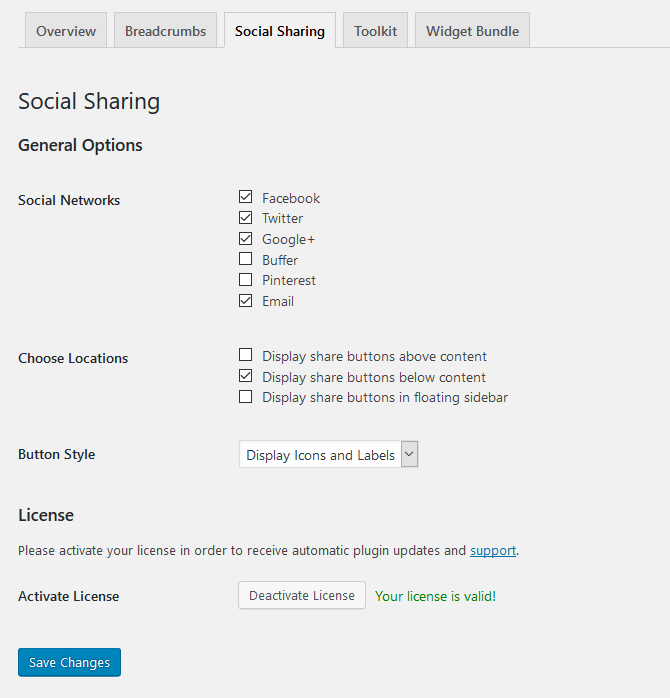 The Social Sharing plugin is only available to license holders of our Premium Bundles.